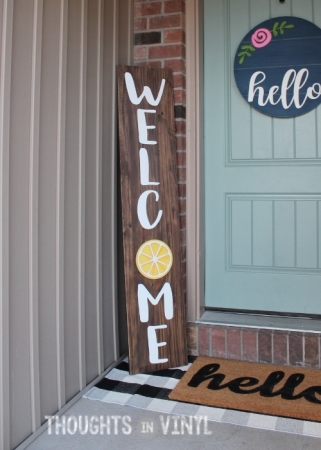 This is a DIY insert for our WELCOME front porch sign. You will only receive the unfinished “O” shape pictured. The WELCOME letters are sold separately here. You can purchase additional “O” shapes here. These pieces are laser cut, resulting in crisp, clean edges with a nice burnt finished edge. All pieces are cut from birch. The overall size of this insert is about 8.8" wide x 9" tall. The WELCOME letters are sold separately here. We offer this glue to glue the pieces together. It is fast drying and has a strong hold.